Receive 1 complimentary 25-minute Relaxing Massage (This gift is based on room occupancy). If you would like to make an appointment prior to your arrival, please send an e-mail to our Spa Manager: spa@temptationresorts.com, or you can simply stop by the spa upon arrival to the resort. 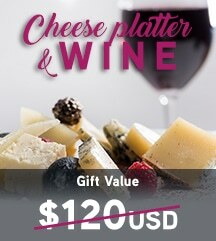 Receive 1 complimentary bottle of Red Wine & Cheese Platter in the privacy of your room. If you would like to make arrangements prior to your arrival, please send an e-mail to our Chief Concierge: chiefconcierge@temptationresorts.com, or you can simply stop by the Concierge Desk upon arrival to the resort. 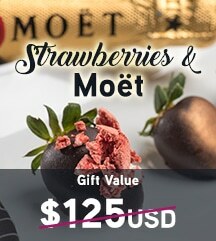 Receive 1 complimentary bottle of Moët & Chandon Champagne + Chocolate Covered Strawberries in the privacy of your room. If you would like to make arrangements prior to your arrival, please send an e-mail to our Chief Concierge: chiefconcierge@temptationresorts.com, or simply stop by the Concierge Desk upon arrival to the resort. If you would like to arrange your private lesson prior to your arrival, please send an e-mail to our Chief Concierge: chiefconcierge@temptationresorts.com, or you can simply stop by the Concierge Desk upon arrival to the resort. In addition to your giveaway, you will receive: A $100 USD credit applicable to Albatros Sailing Tours, plus 2 X 1, Thursdays, on the FOUR ELEMENTS Caribbean Night Dinner Tour. 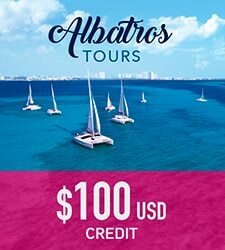 Receive a $100 USD credit towards any Albatros tour (*CLICK HERE to see Albatros Tours) with a minimum $250 USD purchase. When booking your stay on our website, you will receive an e-mail confirmation, which will include your $100 USD Credit Coupon. Only one coupon per reservation will apply. This coupon is valid throughout your Temptation Cancun Resort stay, and expires at check-out. This coupon may not be combined with other coupons or promotions. Your Credit Coupon must be redeemed at time of booking and/or receiving this service. Coupons do not hold any cash or commercial value, are non-refundable and non-transferable. Not applicable towards tips or taxes. Credit Coupons are not accumulative. 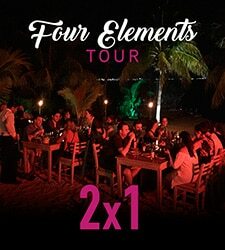 When booking your stay at Temptation Cancun Resort, you will receive a 2×1 Coupon for the Four Elements Tour, applicable for Thursday departures. This tour includes: Transportation on a luxurious Catamaran to Isla Mujeres, beach club dining, live music, fire show and open bar at the Aldea Albatros. When booking your stay at Temptation Cancun Resort, you’ll receive a copy of your reservation, which will include information about this promotion. It will be necessary for you to print it, and present it, in order for you to take advantage of this 2 x1 promotion. If you should book in advance, send it via e-mail. This coupon may not be combined with other coupons or promotions. Only one coupon per reservation will apply. 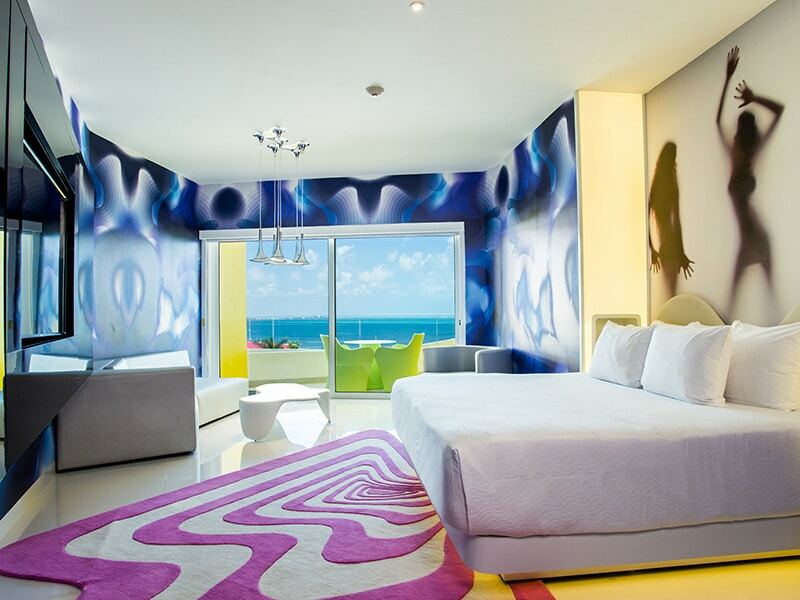 This coupon is valid throughout your Temptation Cancun Resort stay, and expires at check-out. Coupons do not hold any cash or commercial value, are non-refundable and non-transferable. This coupon is not accumulative. A minimum 3-night stay is required to be eligible for a giveaway. Giveaways that include an * on the table above, require a minimum 4-night stay. To be eligible for a giveaway, you must book your stay at least 45-days in advance. Please print your reservation confirmation and have it readily available upon check-in, to validate your giveaway. 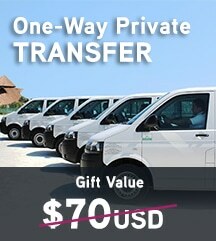 The Airport Transfer & Relaxing Massage are giveaways based on room occupancy. BOOK YOUR TEMPTATION CANCUN RESORT VACATION TODAY! Use the PROMO CODE to claim the GIVEAWAY of your choice.